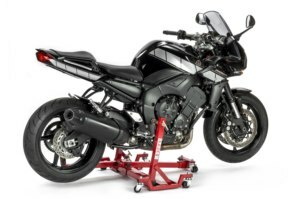 The Superbike Package 3 will give you all the benefits of the Superbike package 2, but with the added ability of being able to manoeuvre your bike around effortlessly! 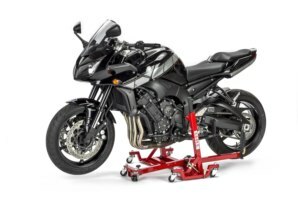 All the features of the award winning Superbike Stand and Front Lift Arm combined with the ability to be able to move your bike around easily in your garage. This is the ulitimate package for safely moving your bike in confined spaces. These products usually retail together at £281.80 if brought separately, or £292.80 with bike specific fitting kit. So you save £34.85 with this package. Some models that require a special stand/fitting kit may be extra. No modifications or changes to your bike required. Will not scratch or mark any part of the motorcycle. 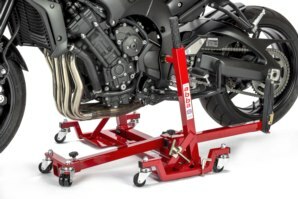 The Superbike Stand and Front Lift arm can be used on their own when the Moto Glide and Front Lift Arm Wheel Kit are not required. Suitable for over 300+ Models of motorcycle. 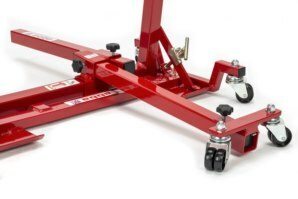 A video demonstrating the abba Superbike Package 3 which consists of the abba Superbike Stand, Front Lift Arm, Moto Glide and Front Lift Arm Wheel Kit. Viewing records 1 to 3 of 3. What a service and what a product. Ordered on Thursday; here on Monday. Had a problem with an end cap - no quibble replaced immediately. <br /><br />Unit itself is easy to construct with easy to use instructions. Very sturdy and does the job it sets out to do. Thanks Abbastands would recommend to anyone. If in doubt give their helpful staff a ring. 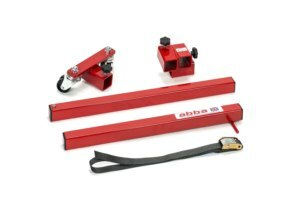 Is it safe to leave my bike on the abba Superbike Package 3 long term - i.e winter storage? Of course! Thats what the package is designed for, you can leave your bike on this kit indefinitely. 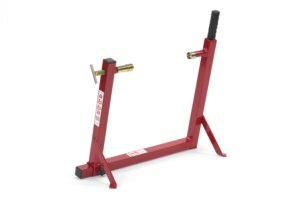 In fact if you do not use your bike for one day or one year the stand will keep your bike safe, upright, prevent unnecessary flat spots on tyres and compression on shock/fork springs (which occurs using paddock stands). It will also enable you to move the bike should you need to. Yes! 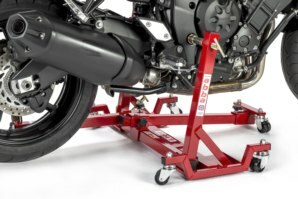 Both wheels of the machine will be fully elevated off the ground and the bike can be moved into any position. It can be easily rotated 360 degrees on the spot. The bike will remain very safe and secure. Your floor does not have to be screeded flat to use the Moto Glide. It will function normally on slightly uneven floors, however you should use the Moto Glide with caution on very uneven ground. Can I use the Superbike package 3 safely on my own? Yes. Like any tool a basic level of skill and understanding is required. 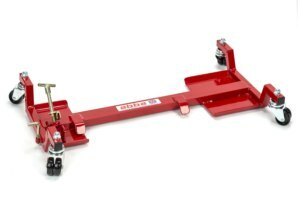 This package is designed to be operated by a single person with ease. It certainly can. 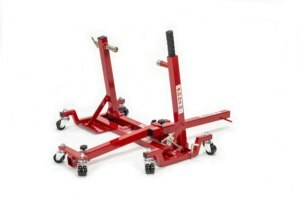 With this package you have full flexibility, you can use just the Superbike Stand or Superbike Stand and Front Lift Arm together on there own for maintenance and cleaning. Then simply add the Moto Glide attachments when maneuverability is required. 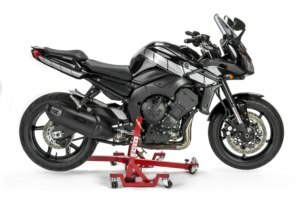 What do I do if I change my bike? You simply order a new fitting kit... most common kits cost £18.50. You can order either by telephone or on the fitting kit page of our online store. This complete package can be used on over 300+ different motorcycle just by changing the end fittings. The overall width of the Moto Glide is approx 80cm. Got a Question about the abba Superbike Package 3? 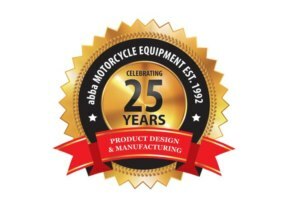 If you would like to ask us a question about the abba Superbike Package 3, simply fill in the form below and we will contact you within two working days. Want to tell a friend about the abba Superbike Package 3? 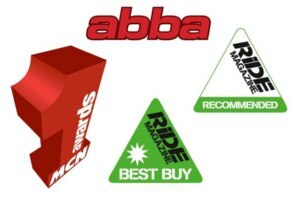 Alternatively fill in the form below and we will send an email on your behalf to your friend, with a link to this page all about the abba Superbike Package 3.